So much happened this week. We won hard-fought victories and faced heartbreaking losses. Now is the time to celebrate, to mourn, to reflect with focus and grace — and to recommit to building the movement we know is possible. In Oakland, the campaign for Measure Y was outspent 17-to-1 by its opponents — and yet we won, passing Measure Y and expanding just cause eviction protections to tenants in duplexes and triplexes. In Richmond, we helped pass Measure H, taxing luxury real estate to fund vital youth services and ensure city jobs pay living wages. These wins at the ballot box are important, but even more important is the movement we are continuing to build. 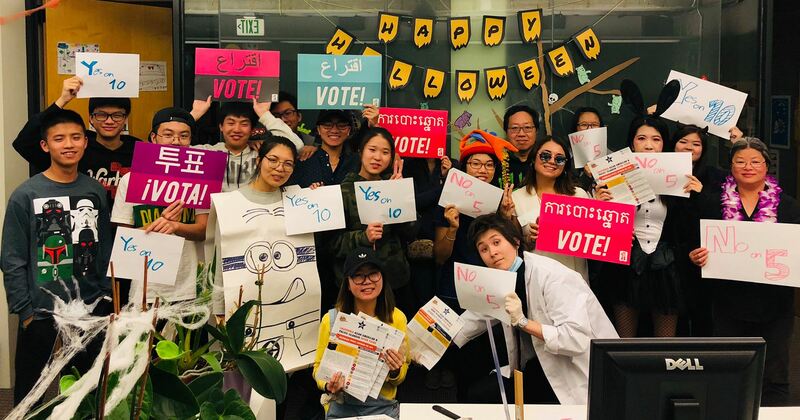 In Richmond and Oakland, our team of 40 canvassers had conversations with 7,273 voters over 25 days — and that’s not counting the countless people our members and supporters (you!) engaged by talking about the election with friends, family, and neighbors. I am so proud of the work we did on these campaigns — and I am so thankful for the movement we are building together. 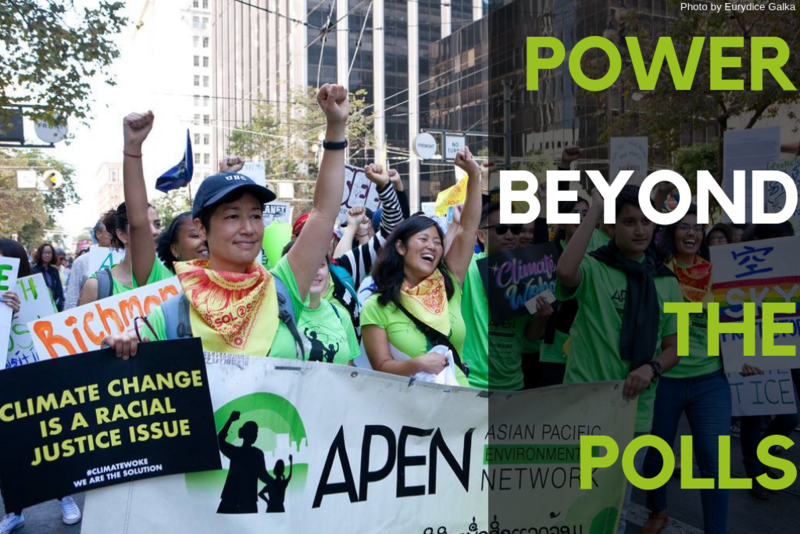 We are building power beyond the polls: a growing movement of working-class Asian American immigrants and refugees who believe that all people should have access to clean air, living wages, and safe and affordable housing. We’re getting stronger every day. While we celebrate our victories and look to the future, we must take time to mourn and learn from our losses together. Proposition 10, which would have given our cities the power to expand rent control, did not pass. This loss is hard to bear. A majority of Californians support rent control, but corporate landlords and real estate groups spent $80 million on a campaign of misinformation and manipulation to defeat Proposition 10. Sometimes, we can overcome their money — but sometimes we can’t. It’s easy to see role money played in defeating Prop 10 and feel dispirited. But then I remember that getting Prop 10 on the ballot would have been unimaginable just a few years ago. When I look at the movement we are creating — the broad coalition of tenants and homeowners ready to throw down for rent control at the ballot box and beyond — I am confident that this fight has only just begun. We will keep organizing. We will show up at legislators’ offices and at our neighbor’s doorstep. We will keep taking this movement beyond the polls: not just showing up the day before an election but showing up throughout the year, and talking to our neighbors about the issues that affect all of our families. And when the next election comes, we will be stronger than we are today. Despite this loss, we saw some big victories at the state level Tuesday: Propositions 5 and 6, which would have cut funding for schools, local services, and transportation infrastructure, both failed by large margins. Defeating Proposition 5 is huge. Since passing in 1978, Proposition 13 has drained critical funds from our schools and local governments — and Prop 5 would have deepened these cuts to education and social services. But we’re not going to stop with defeating Prop 5. We can do more to expand funding for California’s schools and social services. That is why we will be supporting the California Schools and Local Communities Funding Act in 2020, which will restore $11 billion a year to our schools, colleges, and vital local services. Every day, we come closer and closer to winning the future our communities deserve — both at the polls and beyond. Thank you for joining me in this struggle. Join us in building power beyond the polls by donating to APEN today. 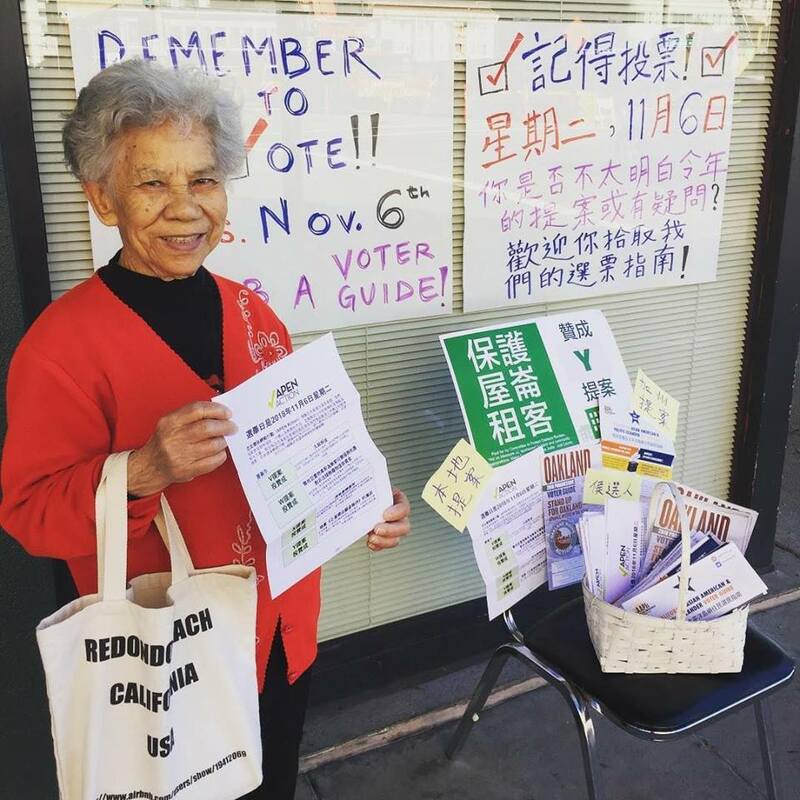 This entry was posted in Blog, Featured front-page updates and tagged 2018 Election, civic engagement, Environmental Justice, Housing, Oakland, Richmond, State by Jake Soiffer. Bookmark the permalink.